Leaving behind Bahia Drake just before six in the morning, we set to circumnavigate the Osa Peninsula. It’s an all-day trip, should actually take a little over nine hours to be precise. The day could be bordering on the boring, if it weren’t for the many squalls that precede us, follow us, accompany us and finally… get us! These annoying rainstorms can last a few minutes or a few hours, sometimes even a few days. In our case, they were brief, but intense and numerous… Certainly not helping to keep our spirits up. 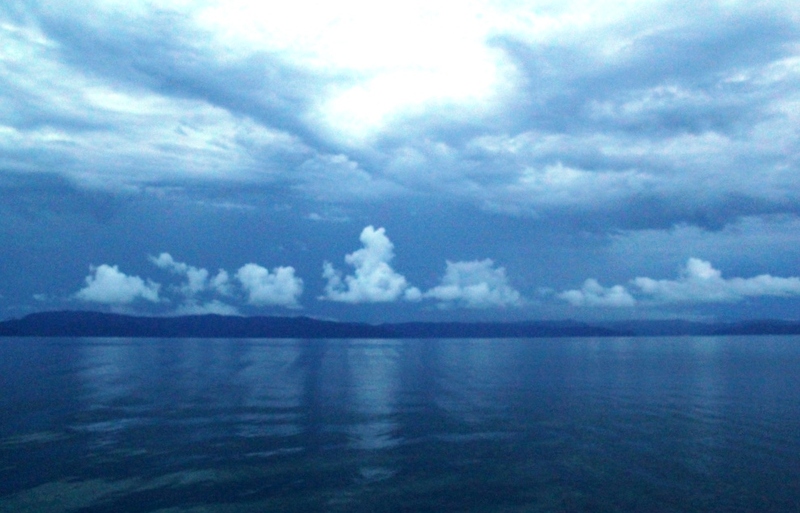 We get pretty soaked eventually, and are both grumpy because of that, but we’re making good speed and we’re soon entering Golfo Dulce. 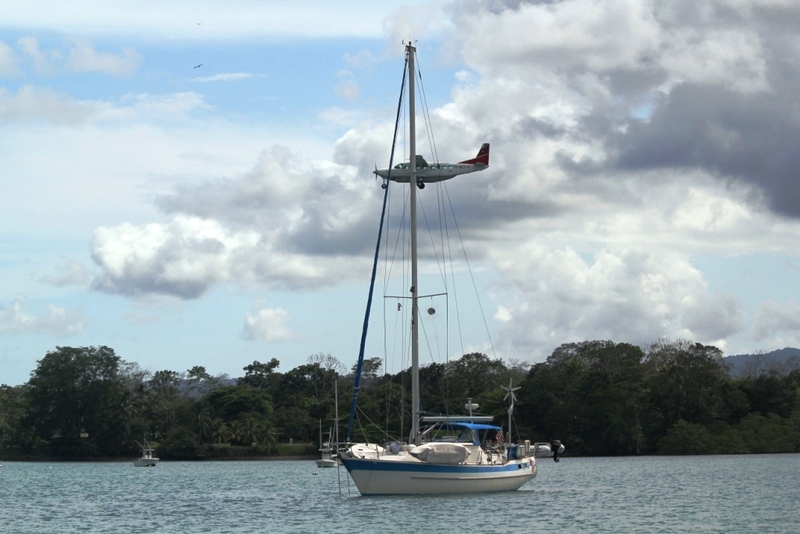 The closest safe haven in the Gulf is Puerto Jimenez, so we make a beeline for that anchorage. Boy, are we relieved once the anchor gets set! Even the sun finally tries to peek out, maybe just to make fun of us, who knows. Predictably, Tom declares : “I think it’s Beer Time”. Heck, he deserves one. Me, too, if I drank beer… Instead I settle for a chilled Diet Coke and feel in Heaven. The Ferry Dock. 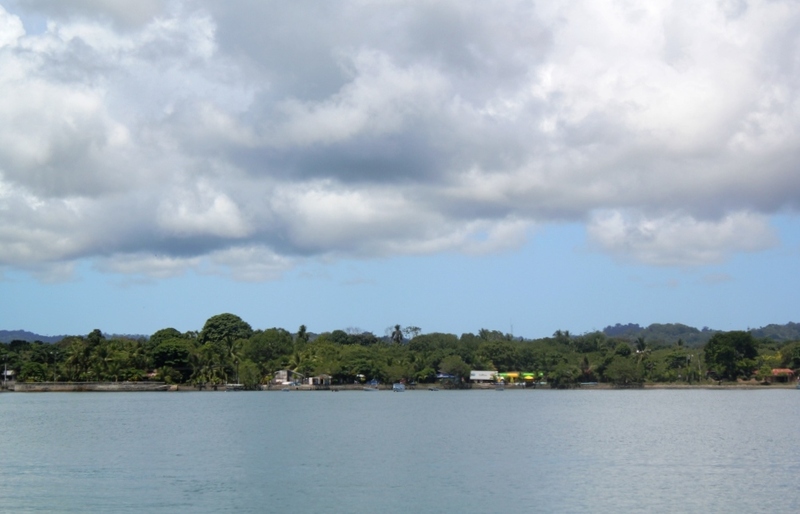 There is Ferry Service between Puerto Jimenez and Golfito. 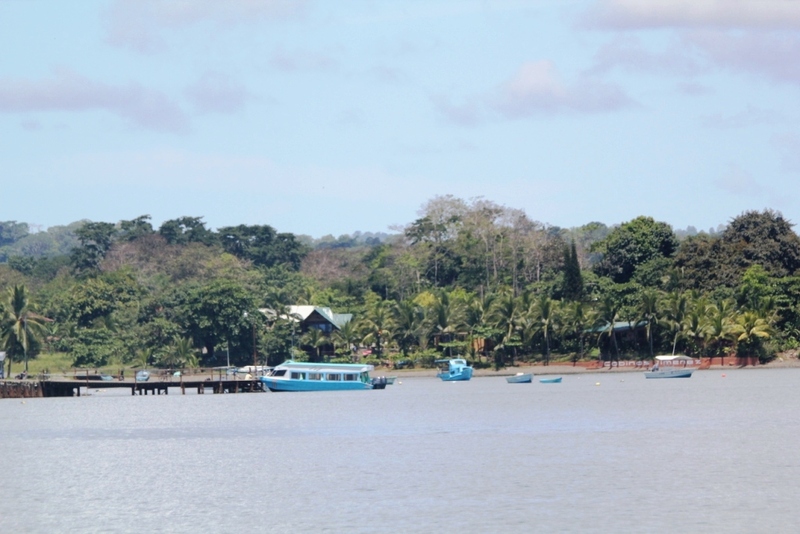 Puerto Jimenez was a gold mining and logging town back in the 1960’s, before the protected habitat of the Corcovado National Park was created. 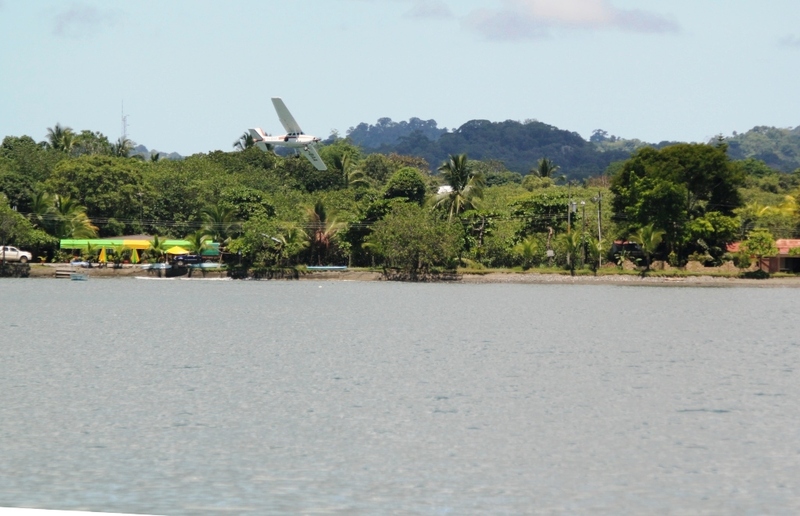 It is a thriving little town and even has its own quite busy little domestic airport. Flights get in and out many times a day. 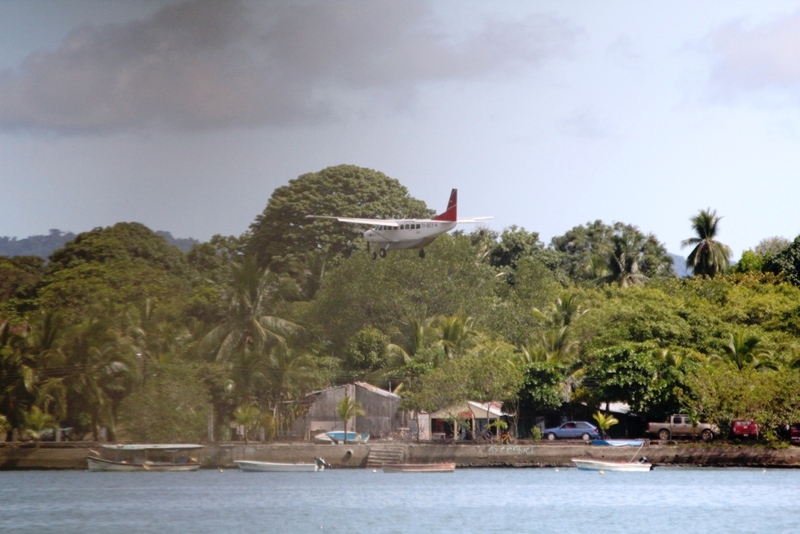 We just happen to be anchored in front of it, apparently separated merely by a small copse of palm trees, judging by the proximity of the small “puddle-jumper” planes zipping by … Needless to say, watching take-offs and landings becomes my favorite pasttime. The bay is flat calm – which we really appreciate, as it’s conducive to restful nights and better dispositions. So we unanimously decide to take a straight shot across the Golfo Dulce and aim for Golfito, maybe an hour’s trip from Puerto Jimenez.